04. Giggs - Who R U To Judge? 09. Giggs - You Make It Look Good! 10. Giggs - Click Clack!!! 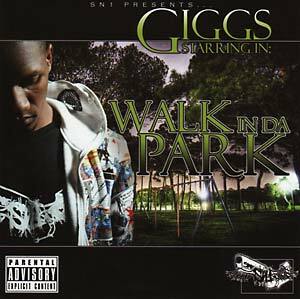 Walk In Da Park is the first, and now classic album released by Giggs on his own independent label, Spare No1 Productions. Originally released in 2009, this is the album that firmly established Giggs as the figurehead of the UK rap scene, led to his signing to XL Recordings and onto many features with the cream of the grime scene all leading to the release of his 2016 smash album Landlord.